Looking to Gone Girl, Dracula Untold, and Alexander and the Terrible, Horrible, No Good, Very Bad Day for inspiration, we've pulled together a selection of twisted thrillers, vampire tales, and family-friendly adventures. Based on Gillian Flynn's must-read novel, this twisted thriller stars Ben Affleck as a schlubby husband whose life is thrown into spin when he comes home and finds his beautiful wife is missing. Rosamund Pike, Neil Patrick Harris, and Tyler Perry co-star; David Fincher directs Read our review here. Whether you've read the book or not, you likely know Gone Girl is beloved for its mind-bending twists. 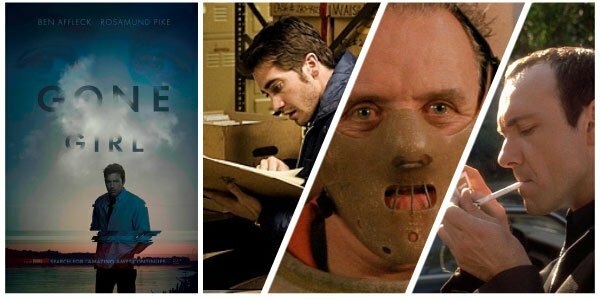 For more crime dramas packed with demented details, and troubling turns, try this trio that feature two of cinema's greatest villains, as well as one of reality's most haunting serial killers. Zodiac (2007) Also helmed by David Fincher, this chilling crime-drama resurrects the nightmarish era of the Zodiac Killer, who stalked the streets of San Francisco in the 1960s and 1970s. Jake Gyllenhaal stars as a cartoonist who became obsessed with following the killer's clues, hoping to unearth his identity. Mark Ruffalo and Robert Downey Jr. co-star. Silence of the Lambs (1991) One of the few horror-thrillers to win Best Picture, this gruesome tale based on the Thomas Harris novel follows FBI trainee Clarice Starling (Jodie Foster) as she tracks down a killer who skins his victims. To find him, she'll need to consult with someone who understands his mindset, Hannibal the Cannibal. Anthony Hopkins co-stars; Jonathan Demme directs. The Usual Suspects (1995) This original crime-thriller unravels a complicated narratives of a band of crooks who meet a hideous end. But for all this film's turns, it's the finale that is often imitated but rarely surpassed that makes it most memorable. Kevin Spacey and Chazz Palminteri star; Gabriel Byrne, Stephen Baldwin, Kevin Pollak, and Benicio Del Toro co-star. Bryan Singer directs. Inspired by the beloved children's book by Judith Viorst, this family friendly comedy focuses first on its titular boy and his awful day, then has him witness a day that's the pits for the rest of his family. Steve Carell, Jennifer Garner, Ed Oxenbould, and Dylan Minnette co-star; Miguel Arteta directs. Want more loveable live-action adventures that'll be fun for the whole family? Make yourself a marathon with these wacky and wonderful films. Cool Runnings (1993) Feel the rhythm! Feel the rhyme! It's bobsled time! This charming dramedy tells the incredible true story of how a Jamaican track team found an unlikely path into Olympic history at the Winter Games. 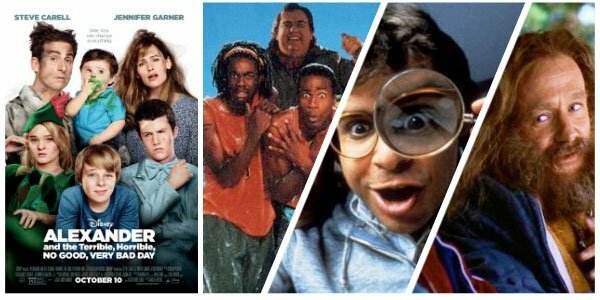 John Candy, Leon, and Doug E. Doug star; Jon Turteltaub directs. Honey, I Shrunk the Kids (1989) Rick Moranis stars in this silly science-gone-wrong tale as an inventor and family-man whose latest discovery accidentally shrinks his two kids and the next door neighbors'. Now these teeny tiny teens must traverse the many dangers of the back yard and home to get their dad's attention and get back to normal. Amy O'Neill, Robert Oliveri, Jared Rushton and Thomas Wilson Brown co-star; Joe Johnston directs. Jumanji (1995) A brother and sister attempt to alleviate boredom by playing a board game they've found in their new home. Little do they know the wildness and adventure rolling the dice will unlock! Robin Williams, Kirsten Dunst and Bonnie Hunt star; Joe Johnston directs. You think you know the tale of Dracula's origin? Think again. Luke Evans stars as Vlad Tepes, the man who will become monster. Dominic Cooper and Sarah Gadon co-star; Gary Shore directs. With Halloween coming, you may well want to tantalize your dark side with this collection of vampire tales. From classic to modern, there's something for all tastes. Nosferatu: Original Version (1922) This silent film from F.W. Murnau features what is still one of the most iconic vampires ever to grace the big screen. 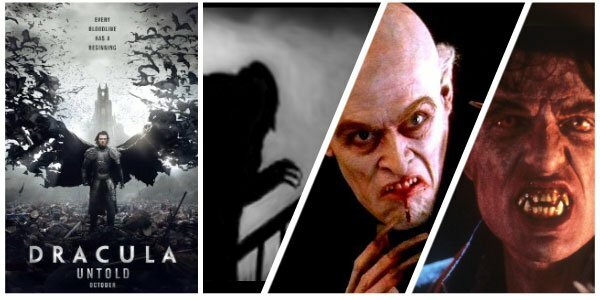 Based on Dracula, this German endeavor follows Count Orlok (Maz Schreck) as he invades the life of the Hutters by buying a home near theirs. Greta Schröder and Ruth Landshoff co-star. Shadow of the Vampire (2000) Based on Nosferatu, this cheeky dark comedy unfolds a fantastical behind-the-scenes look at the film's production. Imagine if Max Schreck were not so much a fascinating actor as an actual vampire. Imagine that F.W. Murnau knew, and risked his crew and his very life to make a movie that would outlive them all. That's the twisted narrative at the center of this quirky film. John Malkovich, Willem Dafoe, Cary Elwes and Eddie Izzard star; E. Elias Merhige directs. Fright Night (1985) Last but not least comes a vampire flick that's totally '80s. Written and directed by Tom Holland, this bloodsucker story is set in suburbia, where a teen is terrified to discover that an actual vampire lives and lurks next door. But despite the danger, no one believes him. Chris Sarandon, William Ragsdale, and Amanda Bearse star.